Home > News > Fail often and fast - lesson for retailers and brands? Inspired by the rousing keynote speech delivered by Didac Lee at the 2017 Cranfield University Venture Day, this article offers practical concepts to brands and retailers on how to use the “Fail often and fast” methodology to grow and stay ahead of the competition. For you to be successful in any undertaking or innovative venture, you must be willing to experiment, try out new concepts and take risks (sometimes very huge risks). Although a majority of all entrepreneurial endeavours eventually fail, successful individuals take time to learn from their failures and take note of what they did wrong. Didac Lee, the vice president of FC Barcelona Foundation, CEO and founder of Inspirit as well as the co-founder of Galdana Ventures and a dozen other businesses once remarked that all entrepreneurs and business owners should know their strengths and weaknesses and be realistic and humble with their expectations and proposals. 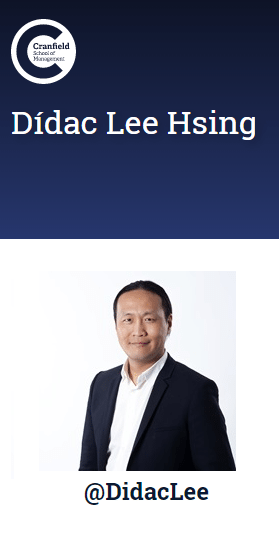 Recognised as the Best Mentor for European Start-ups by the Founder Institute, and ranked among the 100 Top European digital influencers by the Wired magazine, Mr Lee is a force to be reckoned with in the entrepreneurial industry. He has created and nurtured 15 companies over a period of 20 years and notes that for an entrepreneur to be successful, he must possess persistence, perseverance, and discipline as well as the ability to put together a cohesive team and inspire them to rousing success. Although he has been hugely successful, Mr Lee attributed much of his success to the experience gained from his past failures and said that he failed nearly 8 out of 10 times in whatever he did. He explains that the more innovative an entrepreneurial project is, the higher its chances of failure and that individuals who fail and fail again in their entrepreneurial undertakings are those who fail to learn from their mistakes. Since savvy entrepreneurs expect to fail 8 out of 10 times, they usually have to try multiple iterations of their business idea to achieve success. Therefore, they factor this probability of failure into their overall business strategy and ensure that they do not spend all their capital on the first try. In a convoluted way, failure can be good for you and your brand. This is because continuous success can act as a catalyst for overconfidence and can blow your ego out of proportion. This gives you a feeling of invincibility, and you end up making decisions and monumental risks that will ultimately doom your entire enterprise. A classic example of this was the firing of Steve Jobs from Apple. Jobs stated that the public humiliation acted as a wakeup call for him and made him grow up and act more responsibly. This eventually led to his later success with Pixar and fuelled the remarkable turnaround of Apple and the later release of its iconic products. The business world is filled with stories of great entrepreneurs who utilised the “fail fast, fail often” approach to reach the highest pinnacle of success. Bill Gates’ first enterprise was a spectacular failure while Walt Disney was fired from a company for lacking creative capacity. After each of these entrepreneurial giants experienced their first failures, they backtracked and found out what they did wrong. Once they identified the causes for their failures, they rectified it and went on to become roaring successes and build globally recognised brands. Their success story can be yours also but only if you have the guts and tenacity to face your failures and endure through the inevitable hurdles and pitfalls. In today’s ever competitive industry, entrepreneurs shouldn’t be reluctant to change their original business idea to conform to the marketplace. Many brands and business start-up prefer to go with methodologies used by other businesses and brands; however, this may give at best mediocre results. You shouldn’t be afraid to develop and implement an innovative way of doing things. Great brands and businesses have always been “different” and you should too. For your brand to achieve success, you may have to use the “fail fast, fail often” approach during the product innovation cycle. Failure should be part of your brand perfection process since it helps you to discover bugs in your product design, packaging or marketing approach. The earlier you discover and fix problems in your business idea, the faster you achieve success and brand recognition. An effective way of differentiating yourself from the competition is the design and manufacture of a unique POS display solution. 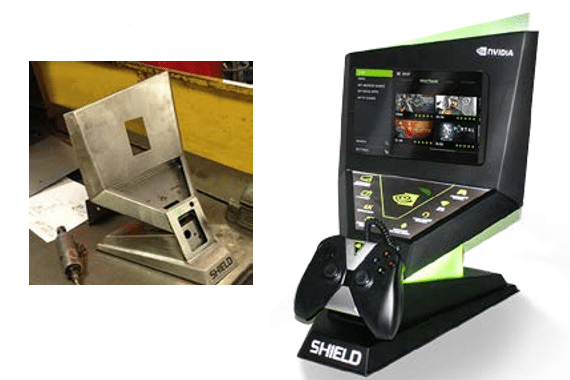 Although many brands and retailers are aware of the benefits of deploying POS display solutions, they fail to ensure the success of the project by creating several POS prototypes and testing them out at different retail stores and outlets. One of the major benefits of creating multiple prototypes is that it gives you the chance to evaluate the impact of the POS display solution in the retail space before final deployment. Testing these prototypes at multiple retail locations helps you to identify flaws in the design or messaging and correct them before proceeding to the final production stage. Also, deploying an array of prototypes in a variety of scenarios enables you to detect errors before your promotion or brand marketing campaign is fully launched. Many brands and retailers roll out POS display solutions without undertaking a pilot test in a controlled environment to check its effectiveness. In such cases, the result of the brand marketing or promotion campaign is often disappointing and fall below expectations. 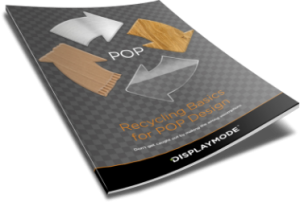 To make the most out of your POS display project, you must be able to learn from past mistakes, and the most efficient and cost-effective way of doing this is by creating a variety of prototypes and doing a test run on each one of them. This way, you will learn from any failures and fine-tune the rest of the POS display design to ensure maximum effectiveness and results. Once you do this, you will be leveraging on the “fail fast, fail often” methodology to take your marketing initiative and brand promotion campaign to a whole new level of success. To build a successful brand, you must be brave enough to do things differently from your competition. If you are in your comfort zone and do things the way everyone else has been doing them (just because that is the way things have always been done), your brand may not be experiencing any major successes. To differentiate yourself from your competitors and create a truly unique brand, you must come out of your lethargy and take risks. Designing and manufacturing a unique POS display solution for your brand is one of the best ways of achieving product recognition and dominance in the retail industry. To ensure the success of such an undertaking, it is recommended that you download this free guide to lead you along the right path. The guide is prepared by account managers who have acquired valuable experience in the POS industry and are your best bet of differentiating your brand and ensuring the success of your innovative POS display project.